Reportedly, the Mistral deal has been 'basically' done, although continues to evoke contradictory reactions both in Russia and in NATO. 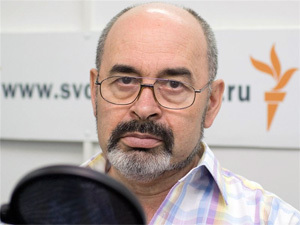 Military analyst Viktor Litovkin comments the situation. - Landing craft capable to carry up to 16 helicopters and be used as hospital and command & control ship looks like a pretty suitable vessel for French Navy, good and comfortable. - Why does Russia need it? - That's just what I ask myself. Russia is unlikely going to carry out landing operations. As it was declared, such ships would be based at Northern and Pacific fleets. None of these regions has objects for landing assault, unless we dare to land troops in China, Japan, Sweden or Norway. New Russian doctrine says main objective of armed forces is protection of sovereignty and territorial integrity of Russia and its allies. There's no reference to any offensive tasks. So it is uncertain why we need a landing craft. On the other hand they said Mistral would be used as a command & control ship. Again, is France (being a NATO member) or Brussels (being NATO Headquarters) ready to sell a warship equipped with control system to Russia? - So you don't have any suppositions why they buy Mistral though, do you? - I think that's a political decision. First and foremost, military technical ties between Russia and France should be tightened stronger. Russia hopes to achieve technology and production license to build such ships since we can't design them by ourselves yet. Obviously, import of technologies has a certain benefit. But still I can't see any military profits here. - France is being criticized by allies for potential sale a warship to non-NATO country. There's a popular belief that the ship would be sold without arms. Militarily, isn't it nonsense? - No. That's absolutely normal in terms of arms. What are arms? They're guns, machineguns and guidance systems. Different matters are ship control system, software, communication system, target designation system etc. That is the critical thing. Speaking of arms, you can easily replace a gun with another one. - After Georgian operation, the Russian military was criticized. Allegedly, if marines would have participated in 5-day war for South Ossetia, they would need more than a day just to deploy. According to some experts, Mistral being a helicopter carrying ship enables to do this in tens of minutes. Perhaps, this could be a military reason for purchase? - We do have ships capable to provide much faster deployment. Those events say about incapability of Russian armed forces to conduct such operation. The most important thing here is where the carrier is based. Where such ship must be deployed at the time of operation? Reportedly, Mistral is not supposed to be used at the Black Sea. Even so, imagine the ship is based at Sevastopol or Novorossiysk. In both cases the distance to Georgian coast would be quite long. It would take about 5-6 hours to reach Georgia by air, too. Therefore, this topic is rather debatable.